If you have been struggling with an eating disorder Kate Daigle suggests body-centered psychotherapy as a treatment option. helping clients live a life free of eating disorders and related issues. 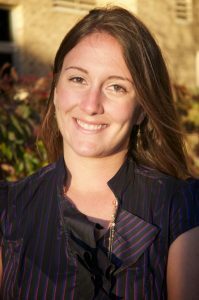 She works with individuals, couples and families and runs several groups designed to promote healthy eating, a mindset based in wellness, and complete recovery from disorders that devastate the mind-body connection. You can read more of Kate’s blog and learn about her philosophy at www.katedaiglecounseling.com. Have you ever felt like your body and your mind were disconnected, that you could not tell how you were feeling in your body based on your mind’s assessment? Maybe you have never thought about this — which would be a good indicator that perhaps your mind-body connection could use some more attention. Maybe you have felt a different type of mind-body connection, a toxic one, where you can feel pain in your body that has debilitated you emotionally. I know that sometimes when I am feeling low emotionally, I can feel it in the tension in my shoulders. Massage therapists could tell you how you are feeling emotionally based on the movement (or knots) in your muscles. If this is a strange notion to you, think about it. When you do something that you physically enjoy, such as going for a run, does that tend to elevate your emotional state as well? Yes, endorphins are at play, but moderate exercise has been proven to decrease feelings of depression overall and deepen the mind-body connection, helping you become accustomed to reading the signals passed between the two spheres and addressing any pain. The mind and the body are much more in sync than we realize on a day-to-day basis, and if we do not notice where we are holding our emotional pain in our bodies, we risk damaging the mind-body’s delicate synergy. When you have experienced emotional trauma such as depression, a loss of a loved one, an eating disorder, a divorce, or physical abuse, to name a few, chances are you are holding some of that pain in your body. Our bodies can be battlefields for our pain — somewhere we project our distress when it gets too much to bear. This can be seen in self-harm capacities such as cutting and eating disorders. Another effect of emotional trauma is dissociation — distancing and disconnecting from awareness so as to lessen the sensation of pain. While our pain may be held in our bodies, we have distanced ourselves from it as a protective mechanism — but in turn we have also disconnected ourselves from our bodies. So how do you notice where you hold your stress, tension or pain in your body and how do you release it? How can we move beyond a place of pain and forward into a place of healing and peace? Practicing mindfulness meditation and deep breath-work can begin the process of reconnecting with our bodies and appreciating the present moment. Attending groups or connecting with others who have had similar experiences shows us that we are not alone and that their is a vibrant life beyond trauma. A bi-weekly open therapy group is held at the office of Kate Daigle Counseling on Wednesdays at 5:30pm. At this group, we get into deeper forms of healing the mind-body connection and processing this experience. Find out more and RSVP at www.katedaiglecounseling.com.